So go ahead, decorate to your hearts content. 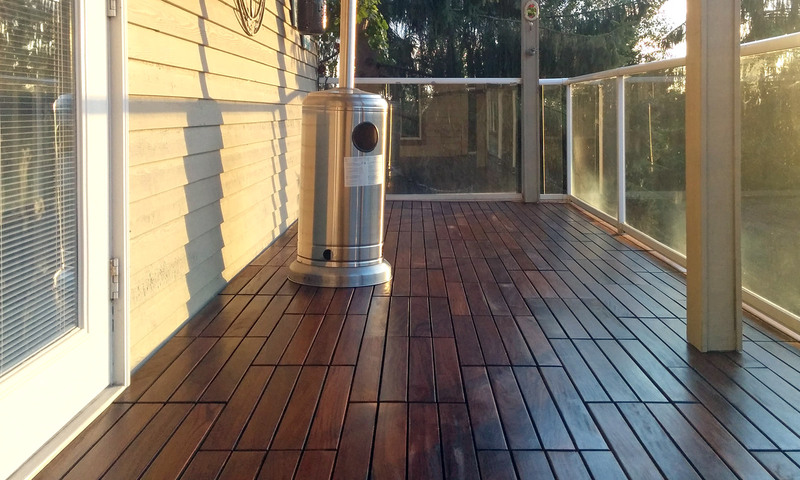 There is no better deck tile on the market! 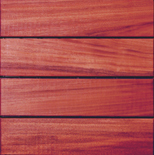 Curupay (Cu-ru-pie) is an incredibly dense hardwood and it stands up to the most extreme climatic conditions throughout North American. 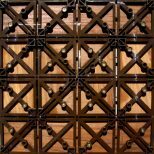 While Curupay is rich, warm & elegant, it also withstands all of the elements. 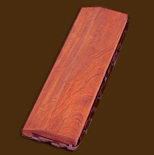 Curupay is an ironwood that is similar in grain density to Ipe, yet it is in the rosewood family giving it a unique reddish brown color. 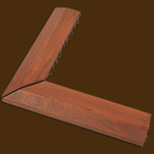 This wood is unique in that the color will darken with age and turn to a more burgundy brown color. 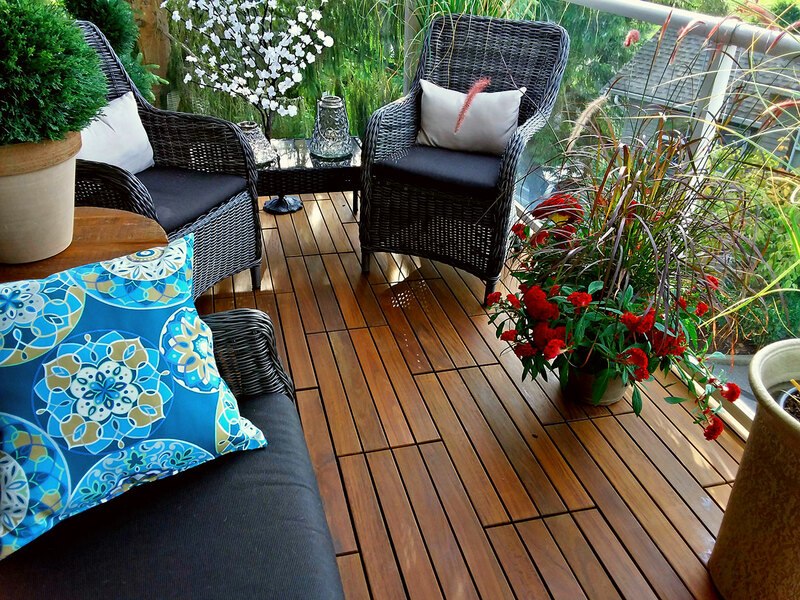 EcoDeck Curupay Exotic Hardwood Deck Tiles won the Glee Outdoor Award of the year in 2010. 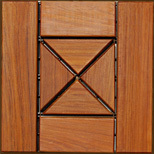 Our Curupay Exotic Hardwood is sourced from sustainable forestry programs in Bolivia through the ABT program. Stands up to the most extreme climatic conditions! Garapa (also known as Apuleia Leiocarpa) or commonly known as Brazilian Ash. 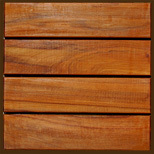 Most noteworthy is that Garapa is a fine grain dense lumber with a beautiful warm golden hue. 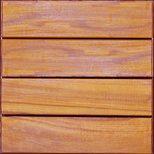 Due to it’s denseness, it is very difficult to scratch this wood. 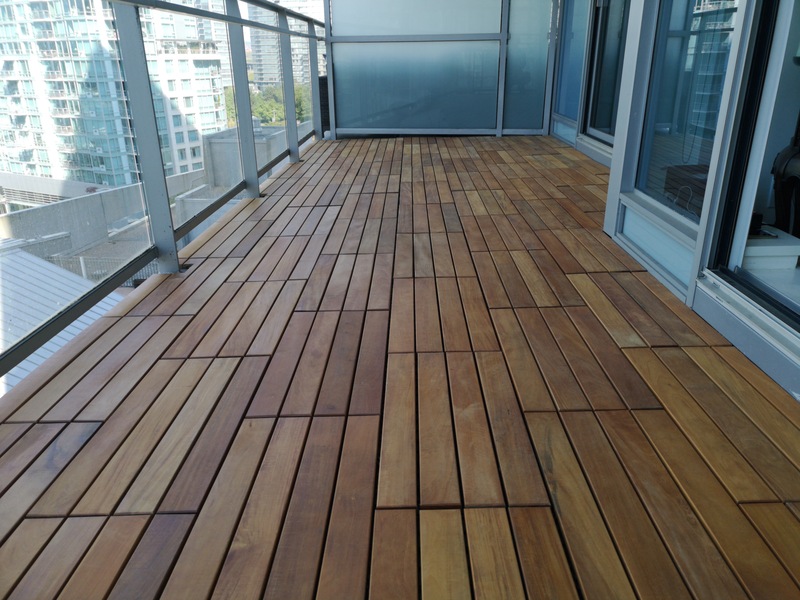 Also naturally resistant to rot, decay and insect attack, creating a deck that will last 30+ years without any preservation.Because Garapa grows so fast it is one of the worlds most responsibly harvested exotic hardwoods. 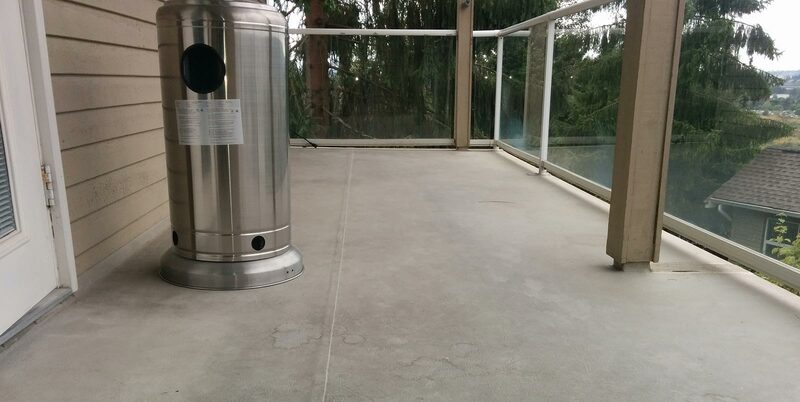 Hence, it creates a perfect sustainable outdoor flooring product. 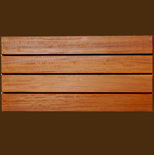 Similarly it compares to Ipe or Curupay in density, and thus is a great option for your outside space. 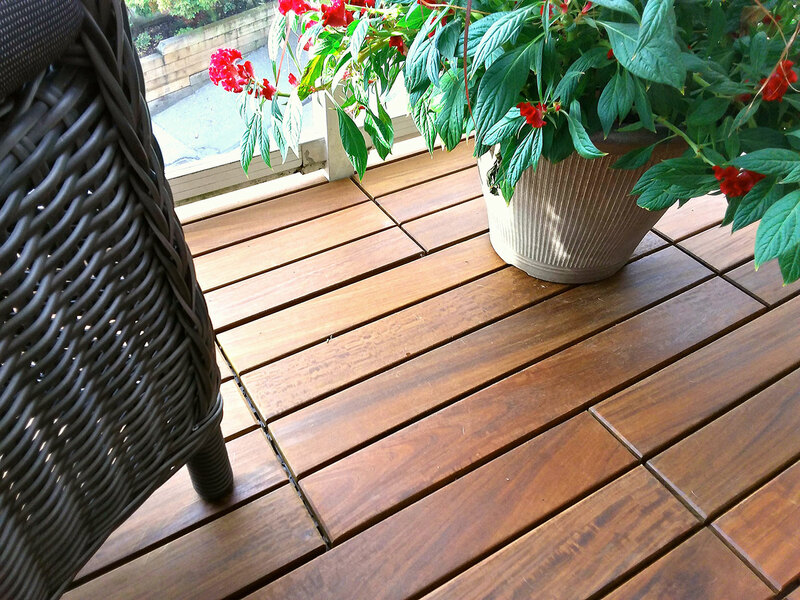 A perfect sustainable outdoor flooring product! 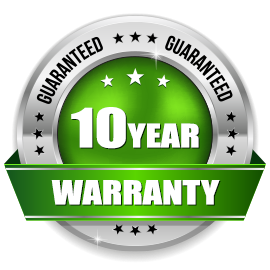 Only through certified sustainable forestry programs is how we purchase all of our exotic hardwoods. 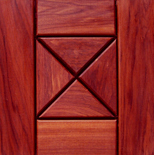 Which is very important for sustainable forestry to coexist with the exotic hardwood lumber market. 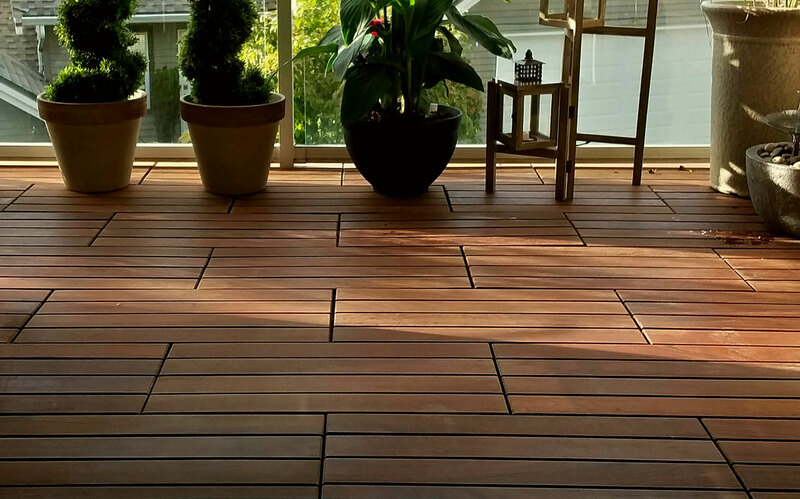 The FSC endorses EcoDeck deck tiles which provides critical financial assistance and incentive to landowners to join forestry initiatives. 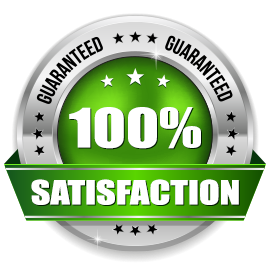 Our lumber is supplied through these initiatives in a reclaimed or remnant format. Therefore helping to stamp out illegal logging and the illegal lumber trade. 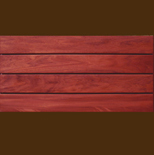 Available in both FSC certified woods or reclaimed / remnant formats. More information on the sources of our woods are available upon request.